Registration for the third and final NCC Autocross school of the year opens on 5/13/13!! 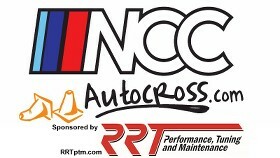 NCC Autocross will hold our third and final autocross school of the 2013 season on July 6th at Bowie Baysox Stadium in Bowie, MD. Sessions will include a variety of topics to help novice participants better understand what goes on in a day of autocross, and what they will likely be seeing and hearing around them as they participate in the motorsport. Instruction on how to prepare both the car and driver for autocross, how to register, tech inspect, work a course, and safety topics will get you up to speed with the day-of operations for participating in autocross. Then, drivers will learn how to make the most of their runs by examining techniques like walking the course to determine good run lines, throttle modulation (your gas pedal is not an on-off switch! ), and when to brake. Discussions will also cover basic handling conditions such as oversteer and understeer you may have heard of, and how to correct them, and try to prevent these issues to give you your best runs. It’s time to put all of your newfound knowledge to work. Get ready to buckle up and drive, as you will get run after run to put your training and skills to the test with a series of handling and stopping challenges as you gear up to run a full autocross course. With one of our excellent instructors at your side, you will continue to receive guidance to improve your performance and lower your lap times. As you learn how to pick your turn-in points, choose your braking zones and work the throttle wisely, you will notice a consistent improvement in how your car handles confidently and smartly through the sea of cones. There is no better way to get started in autocross than with the NCC Autocross school. Whether you’ve done a few events in the past, or if you’ve never been out to a course before, you’ll find the program educational and the skills you learn useful not just on the autocross course, but for all of the driving you do. Our staff is ready to answer any questions you will have and will ensure you get personalized attention and instruction to overcome any concerns or issues. We are ready to introduce you to the fast and fun world of autocross, are you ready to join? Register now as space in our schools are limited to ensure small class groups and personalized instruction. BMWCCA requires that all NCC Autocross participants (for both events and schools) to be registered BMWCCA members. Last edited by etherpool; 06-17-2013 at 05:25 PM. School #3 results are up! !